In response to a recent article eulogising the stand alone communications planning entity, Naked's Brett Rolfe questions if comms planning really is dead and buried. Ben Shepherd’s article on communications planning provided a particularly considered chronicle of the disappearance of stand-alone comms planning agencies of any size in Australia. Having observed this from the inside over the past ten years as part of the team at Naked, the one thing I can say is there has never been a dull moment. So it felt right to keep the conversation going and respond to Ben’s article. As he observed, clients did indeed tighten their budgets following the GFC – and independent communications planning became an unjustifiable luxury for many clients. Being a comms planning agency was a bit like sitting in the back of a Yaris, wedged between a bloated creative agency listening to K-Pop and a media agency who keeps poking you in the ribs. It was only a matter of time before mum and dad stopped the car and told someone to get out and walk. But eight years down the road, we have arrived at a very different place. Programmatic buying is adding levels of complexity and obfuscation. The big tech goliaths are marking their own homework. Media agency practices have been uncovered that are dubious at best, fraudulent at worst. These and other changes to the media landscape have rekindled a powerful lack of trust. And perhaps that is the biggest reason that we’re having this conversation. Back at the turn of the century, it was a lack of trust in media agencies that drove the ascendancy of communications planning in the first place. In today’s media climate, the separation of strategy from buying in order to provide objective thinking is arguably needed more than ever before. So what is the best way forward? Does the original stand-alone communications planning model provide the solution, as Ben suggests? No, I don’t think so. The old model is broken, and perhaps it always was. From its inception there was always a tension between the developing strategy and the ideas. This is a tension that has only increased with the gradual diminishment of classical ‘traditional advertising’ solutions. In describing the role of comms planning agencies, Ben points to the importance of the bridge between strategy and execution. It was this bridge that led us at Naked to work increasingly with clients in a creative capacity. By not only developing the strategy but taking it through to an idea, we found we had a better chance of retaining the intent of the strategy. We believe that this more joined up approach – ‘strategic creativity’, if you will – gives clients more confidence that their strategy can come to life in a coherent way. The core business of communication planning has evolved as well. Behaviour change is no longer a new fad, it’s part of the furniture. We’ve made peace with Byron Sharp, and we know how to make him dance with Peter Field and Les Binet. Data is more ubiquitous and accessible – it necessarily informs both our thinking and our measurement. The rising cult of ‘customer experience’ encourages us to look at the bigger picture and work from a broader palette when considering communication solutions… but that was something we’ve done from the very beginning, in line with Naked’s founding belief that ‘everything communicates’. Not all clients are taking the lack of transparency with media agencies lying down. Some are exploring alternative ways of engaging publishers and securing inventory. In this brave new world, independent impartial advice on the best communications approach will play an increasingly crucial role. Perhaps it’s no surprise that over the past couple of years we’ve seen several clients invite us to work in more ‘old Naked’ fashion, delivering independent strategic communications consultancy. Despite the rumours, communication planning hasn’t died, in fact it’s more interesting and effective than ever. Here’s to the next ten years. 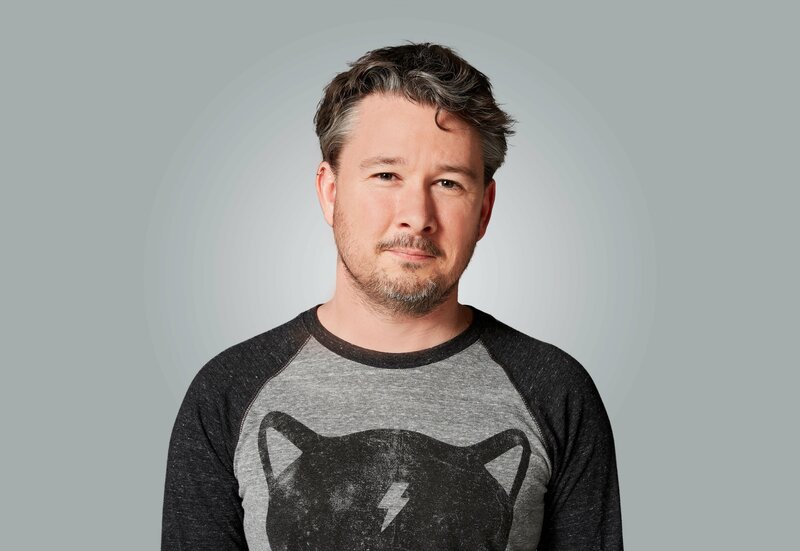 Brett Rolfe is chief strategy officer of Naked Communications. Great piece. Takes me back to those halcyon days but I agree. Idea, execution and channel have never been more intrinsically linked. Great article. Still the smartest guy in the room!! Brett certainly confirms that he knows how to ‘talk the talk’ with a fleeting thought that there may be a possibility he can remember how to ‘walk the walk’. Serious planning and problem solving in agencies stemmed originally from Unilever’s MO in Australia in the early sixties when in 1965 the radical multi-skilled, proactive ad agency planning role was conceived and successfully launched in a Sydney ad agency in 1966. It became the most complex role in the agency and also over time the most hideously misunderstood role. There could be much more to say. But simpler just to refer to originplan.com and more importantly for advertisers and creative ad agencies – originplansuccess.com.